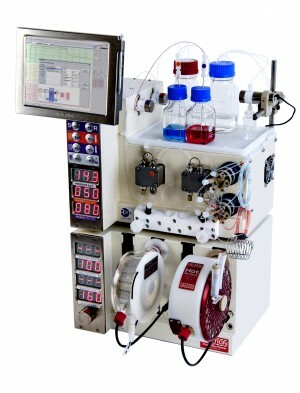 A multi-gram scale protocol for the N-acyl amidation of bile acids with glycine and taurine has been successfully developed under continuous flow processing conditions. Selecting ursodeoxycholic acid (UDCA) as the model compound and N-ethoxycarbonyl-2-ethoxy-1,2-dihydroquinoline (EEDQ) as the condensing agent, a modular mesoreactor assisted flow set-up was employed to significantly speed up the optimization of the reaction conditions and the flow scale-up synthesis. 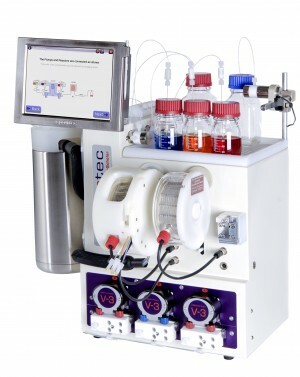 The results in terms of yield, in line purification, analysis, and implemented flow set-up for the reaction optimization and large scale production are reported and discussed.